I’ve had some bottoms. And I haven’t liked them. Not while they were going on. But, aside from the bottoms that are too close for me to have an objective point of view, I can look back at nearly all of my bottoms and see the bounce I’ve gotten and the success I’ve achieved. Often because of the bottom. I see the same thing in my clients, colleagues, friends, and family. We may hate the bottom while we’re in it; we may curse it, and ourselves for being there; we may pray for release and relief. But the bottoms I’ve witnessed others hit have, once again, nearly always given them a bounce toward more. Do we need the bottom to get the bounce? Is the bounce merely a gift that the bottom brings us? Or do we notice the bounce more – how high we fly – because we went so low. I don’t know. I do know that there’s probably a reason for the saying “it’s always darkest before the dawn,” (even though that’s technically not true). It seems there’s at least sometimes something about hitting bottom and getting to perhaps your darkest moment that fuels a desire for and path to success. Or perhaps what George meant is that our bottoms are our opportunities to turn things around and aim for success. 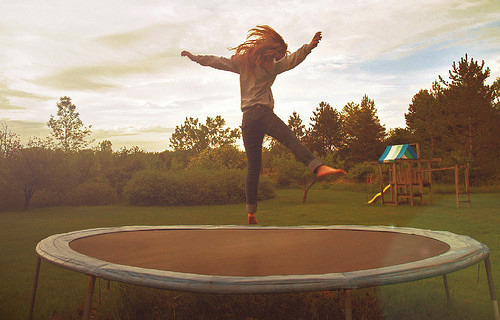 Or to simply do your best to bounce – to take a bounce – and allow yourself to fly. How have your bottoms helped you? For guidance in turning your bottoms into bounce, contact Robyn at rmcleod@chatsworthconsulting.com.